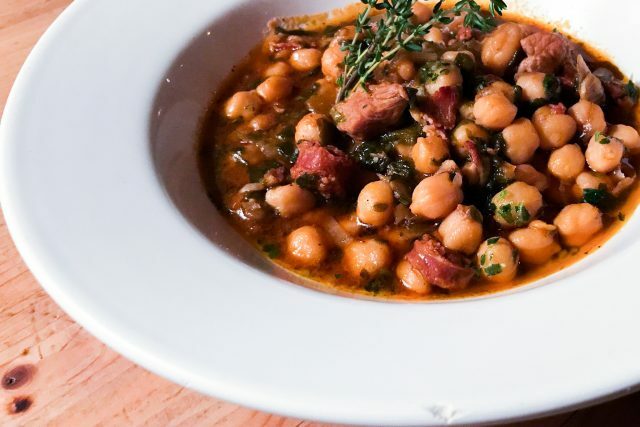 With the motto “A meal for a meal” this eco-friendly bar collaborates with the non-profit organization Mary’s Meals to provide meals to children that live in extreme poverty. And then as you would expect from a bar, at El Colmado, you can enjoy the most iconic Spanish food like jamón, aceitunas o tortilla española among others.To me sounds like the perfect match between enjoying and taking responsibility for the world you are living in and contribute your bit. For those of you aren’t very familiar with the Spanish gastronomy you will have to get familiar with terms like tapas and pintxos. 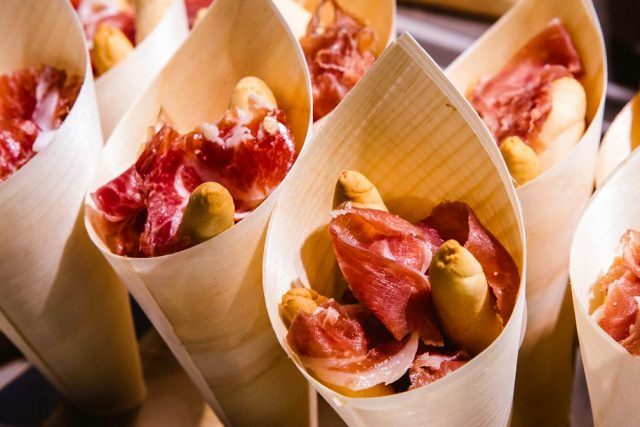 While tapas are more typical in the south of Spain, although you can find them almost everywhere around the country, pintxos are a typical thing of the north. 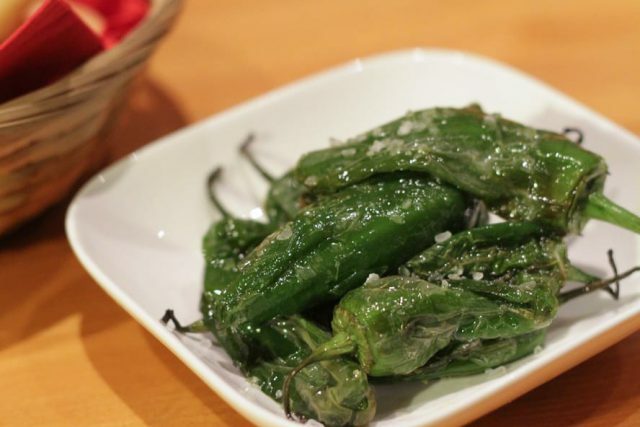 Now that you now that and if you can’t go to Spain right now to try them you are still lucky to have On Egin in Neukölln. 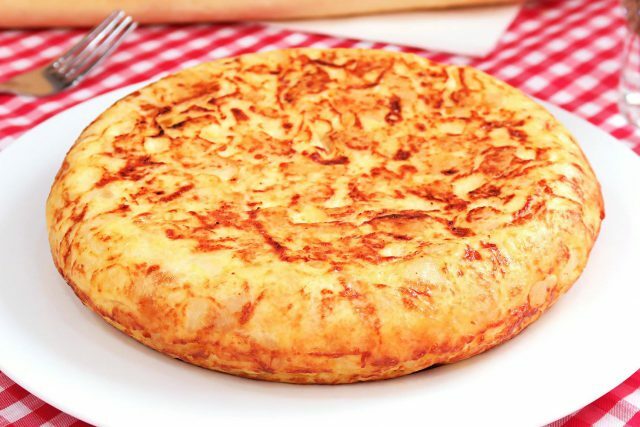 And the best thing is that they also have the most typical Spanish foods so what are you waiting for? Of course, the food has to be good and really be able to transport you to those familiar flavors with which you have grown back home. But that is not everything. It also depends on the atmosphere of the place to really draw you and transport you to a typical Spanish “tasca”, with its uneven white walls and wooden pots and pans, “botijos”, flamenco pictures, guitars, hanging all over the place that make you feel almost at your grandparents’ house. El Borriquito has been achieving that and much more for already 30 years now. With his “Jueves Denmedio” party Faro celebrates the southern Spanish culture dance of Flamenco and Cante always accompanied of course with the magic sounds of the Spanish guitar. Also for the football lovers, because there’s no better time than a shared time with friends to enjoy the match on the big screen, and of course, good food. Chipirones, pulpo, papas bravas, ensaladilla… and the list goes on. Who’s hungry?! Maybe the most known bar of all the list because of one of its owners is famous international actor Daniel Brühl. The really grungy look of the exterior that merges perfectly with the neighborhood is really different from the stylish interior that has been carefully decorated a really cute nod to something that is deeply rooted in the Spanish culture. A great selection of wines, and if you are a football fan you can come to Bar Raval to watch the Barça’s matches. 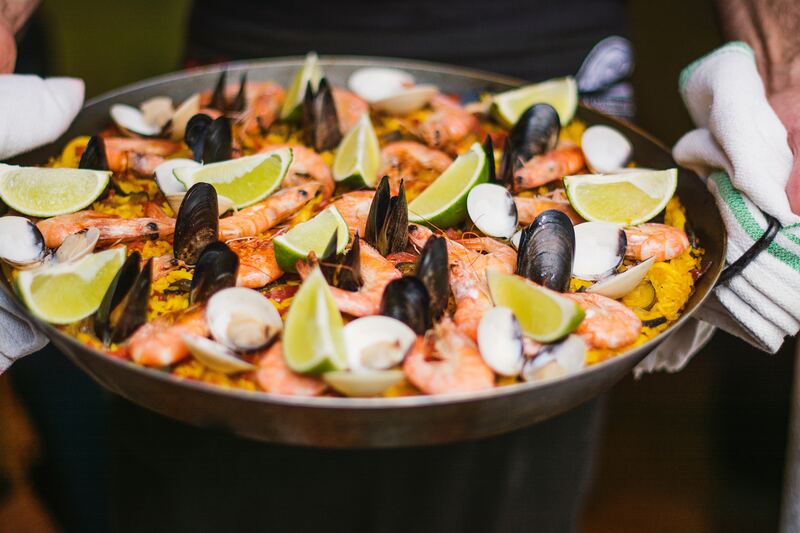 With an eclectic and picturesque decoration, El Atelier Tapas Bar true to its Spanish origins and customs offers paella every Sunday. 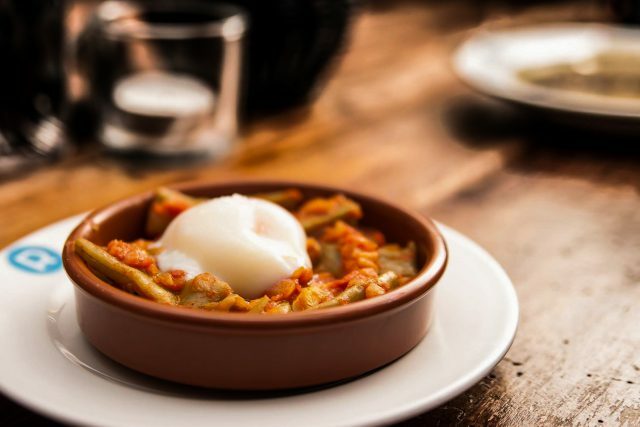 On Fridays, you can have the unique “caña” with “tapa” for an amazing price and every Saturday El Atelier Tapas Bar grants you with an always delicious surprise, which could be lentils, or bocadillo de calamares, or fabada asturiana… Can’t wait for next Saturday! Located in the area popularly known as Kreuzkölln at the very beginning the owners opened Azafrán Gourmet, a shop with Spanish products. Now, they also have Galatea Wine and Music, a bar that was born after the shop’s great success. 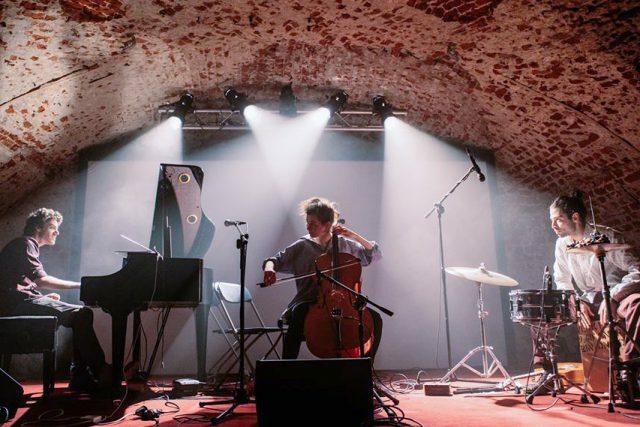 And no wonder why, they have a really magical atmosphere, you can enjoy live music and of course, have a taste of Spain. 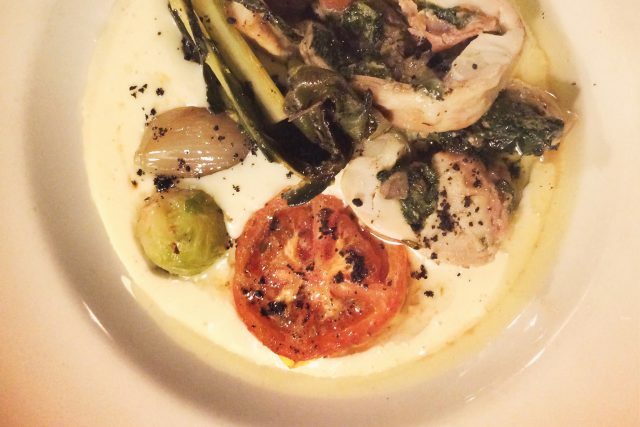 This Spanish restaurant brings Catalan flavors to Berlin. Mariona offers you the “usual suspects” of the Spanish most typical cuisine but with little twits that make them unique and still rooted in the authentic Spanish flavors. And to quench your thirst they also have a great selection of wines for your culinary enjoyment. 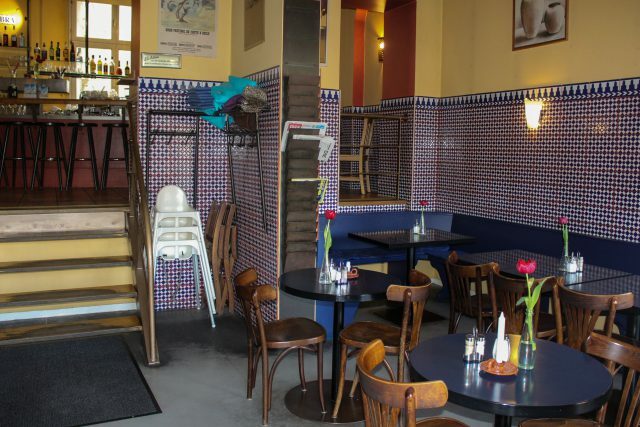 You’ll find this lovely bar with Andalusian-inspired tiles on one of the corners of Oranienplatz. 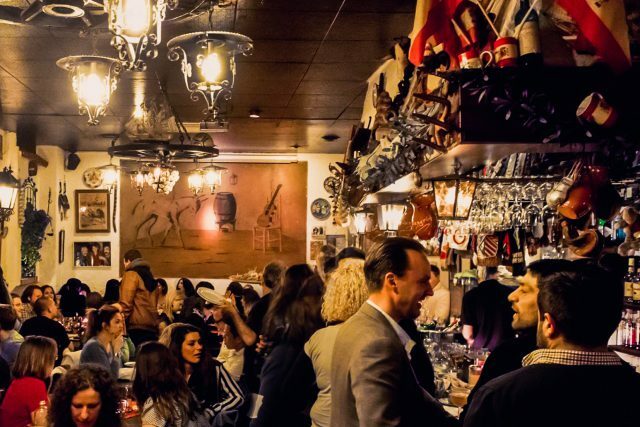 So whenever you’re having a walk through Kreuzberg and you feel like you really want to try something different and really good, just go to Sol y Sombra and enjoy their variety of tapas. And if you just want to read a book while enjoying a nice glass of wine this is your place. ¡Que aproveche!